Featuring a solid curly maple faceplate from our good friends at Griffen Hollow Studio, the [one/fish] Comparator is an excellent tool for gigging musicians, allowing the player to flip-flop between two effects loops followed by a switchable buffer. 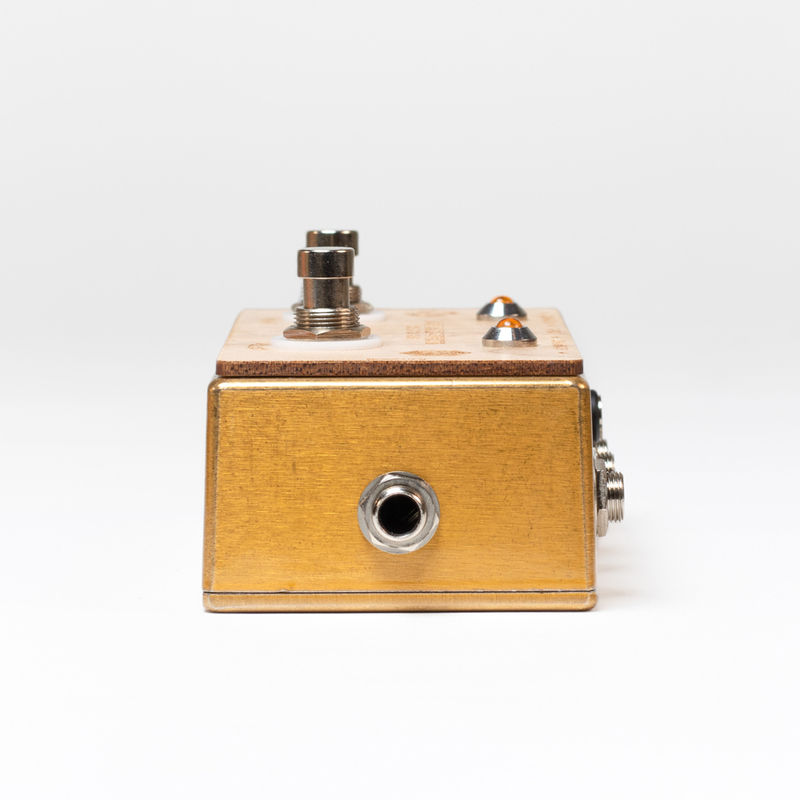 The [one/fish] Comparator: This funky gold box has a lot of functionality in a small footprint. 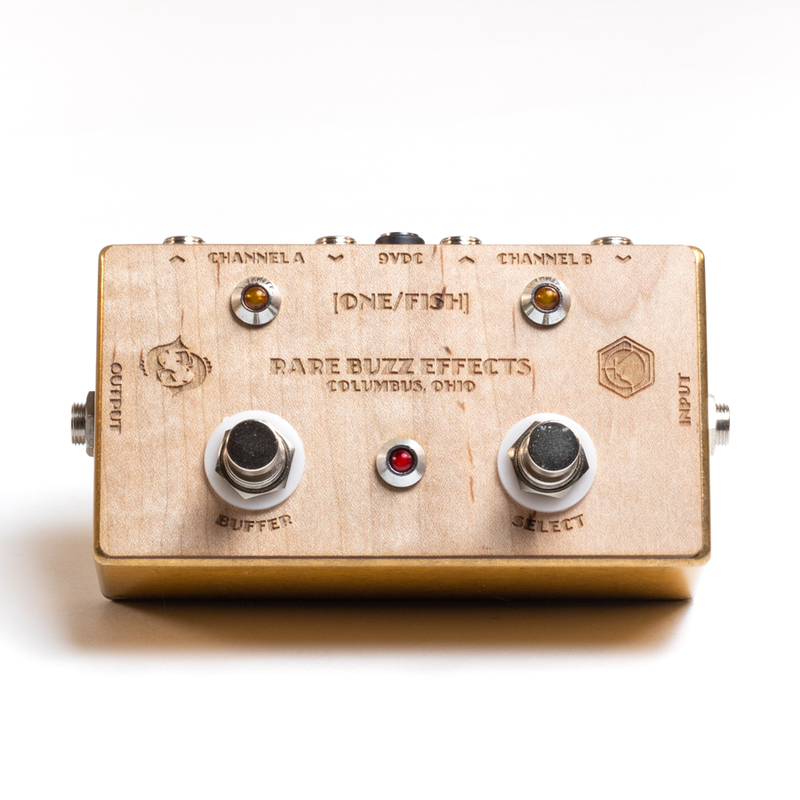 Initially designed as an A/B switch to compare pedals at our studio, the [one/fish] was improved for the general public by adding a switchable Klon-style buffer after the switching circuit. 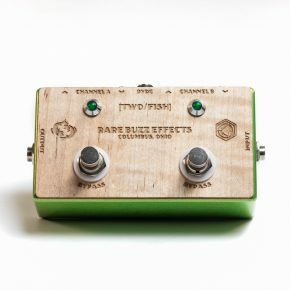 This pedal flip-flops between two effect loops (Channel A -or- Channel B) – perfect for changing your sound for solos or between songs without having to dance on your pedalboard. 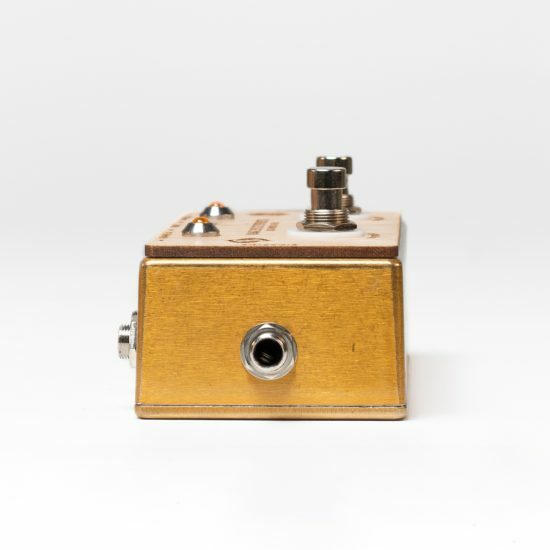 Since the A/B circuit is passive, if the pedal is unplugged the buffer switch can be used to kill the guitar signal for equipment changes. 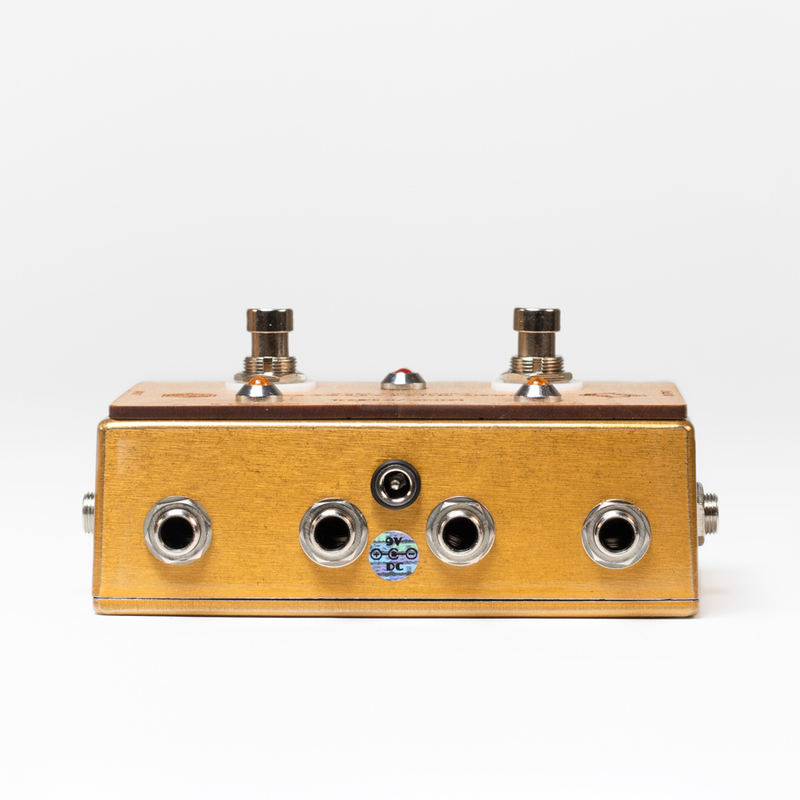 A portion from the sale of each [one/fish] Comparator is donated to MusiCares, a non-profit providing a safety net of critical assistance for music people in times of need. Select: Flips the signal path between Channel A and Channel B. Buffer: Activates the buffer circuit.